Ground chicken, clear noodles, and mixed vegetable served with plum sauce. 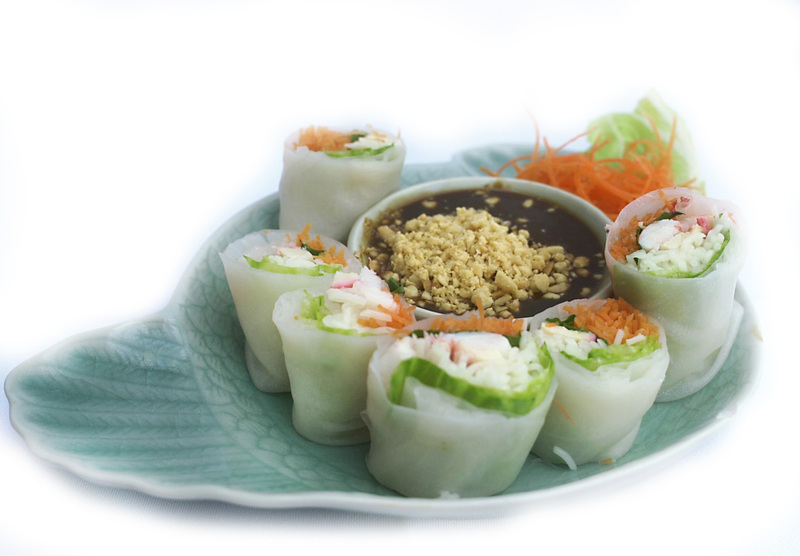 Clear noodles and mixed vegetable served with plum sauce. 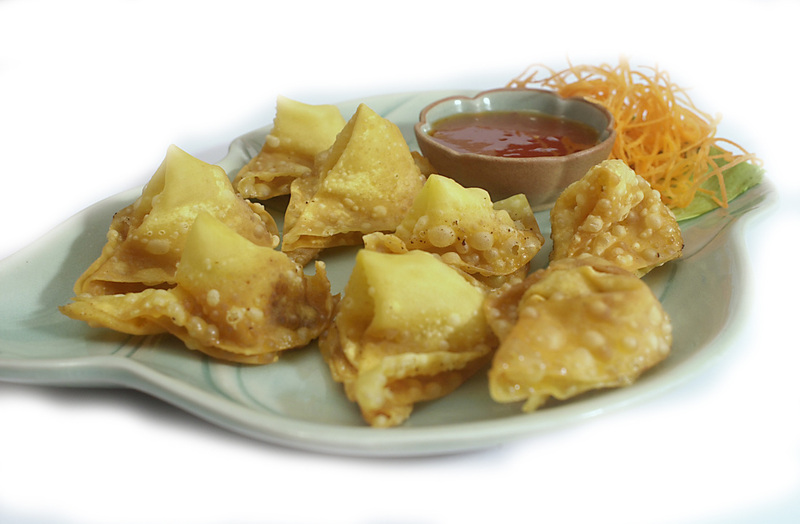 Golden crispy fried wontons stuffed with ground chicken and Thai herbs served with plum sauce. Roasted chicken, shrimp, basil leaves, carrot, and Thai Angel noodles with Thai Angel House Sauce. Golden crispy tofu served with chili plum sauce. Potato, ground chicken, curry powder wrapped in a delicate pastry shell served with cucumber salad. 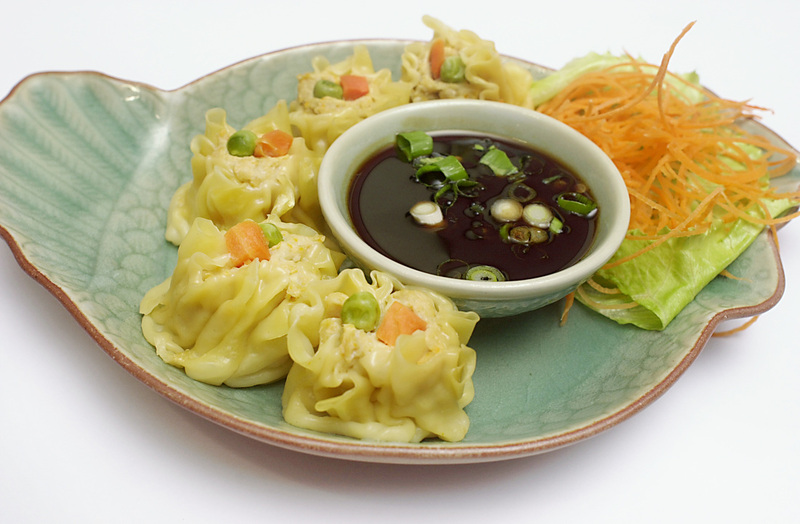 Steamed dumplings stuffed with marinated ground chicken, and carrot with dumpling sauce. Golden crispy chicken wings with Thai Angel's spicy sweet chili sauce topped with sesame seeds and scallions. Golden crispy rice noodles, shrimp, tofu, and scallion with Mee Krob sauce. Grilled marinated chicken strips on skewers served with peanut sauce and cucumber salad. 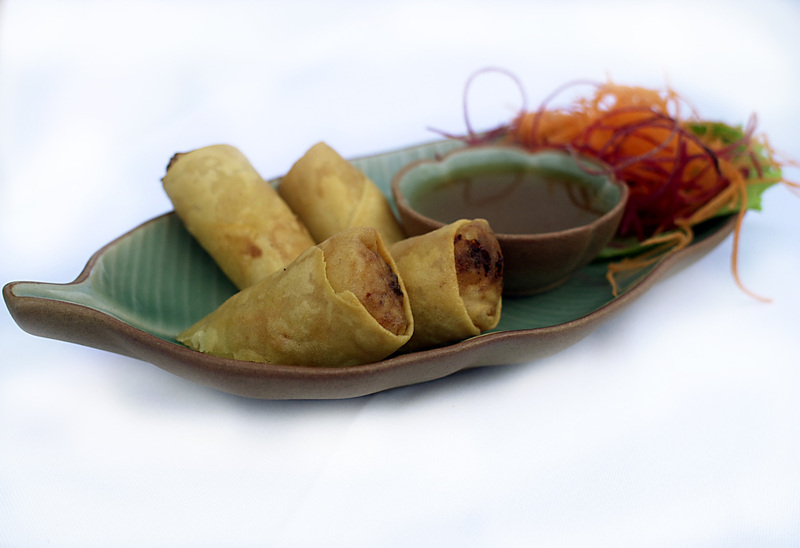 Shrimp stuffed then wrapped in spring roll wrapper tied with golden crispy noodle served with chili plum sauce. Golden crispy squid served in chili plum sauce. Marinated sirloin eye-rib steak on the grill with Thai Angel house sauce.